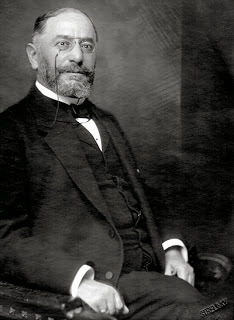 Manfréd Weiss (1857–1922) was the sixth and youngest child of a family in Pest, Hungary with roots in the produce trade. By the 1870s the family was involved in the emerging mill industry, and after studies at a commercial academy a short trip abroad Manfréd joined the family business, immediately changing its profile to a more dynamic and versatile enterprise. 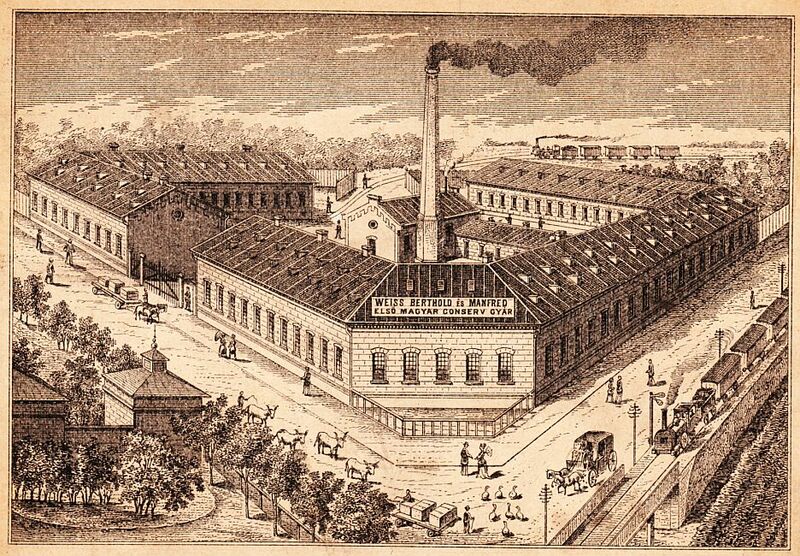 In 1882 Weiss founded Hungary’s first canning factory in Budapest with his brother Bertold; the company later became one of the major suppliers of the joint Austro-Hungarian army. To maintain their military contracts the company expanded its line of products continuously, and in 1892, the Weiss brothers founded the country’s first ammunition factory on the Danube island of Csepel in the heart of what is now modern Budapest. They also co-founded the Hungarian Textile Industry Company in Rózsahegy (now Ružomberok, Slovakia), and in 1890 they helped establish the Hungarian Industrial and Mercantile Bank. Manfréd’s brother Bertold withdrew from the family enterprises to become a member of parliament in 1896; when Manfréd assumed the exclusive management of the company, Emperor Franz Joseph awarded him a title of nobility with the predicate csepeli (referring to the town of Csepel). country’s most significant roll mills and later expanded production to artillery ammunition, army ovens, mobile kitchens and even military cooking boxes. Csepel gradually became the country’s largest privately owned factory with access to the most remote areas of the world. In 1918 the Austro-Hungarian Monarchy collapsed as a political result of German defeat. French troops began to rearm Romania, Serbia, and the newly formed Czechoslovak state; and despite a general armistice agreement the Balkanian French army organized a new campaign against Hungary with the help of those governments. The government collapsed and in 1919 The Communist Party of Hungary came to power and proclaimed the Hungarian Soviet Republic. 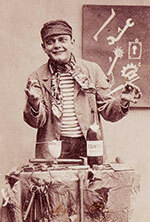 Weiss attempted suicide when his factory was nationalized, but survived thanks to quick medical intervention. 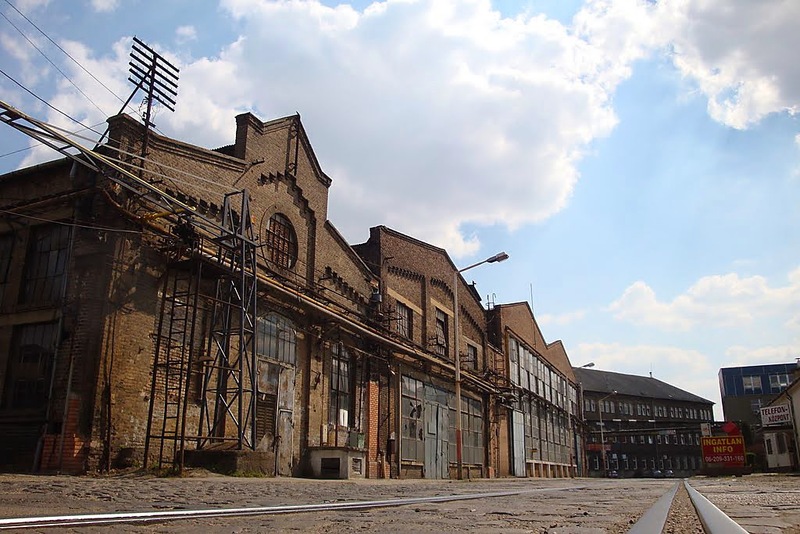 The collapse of the factory was dramatic: the several thousand workers employed during the war dwindled to several hundred, and the occupying Romanian army looted the premises. Manfréd Weiss’s son Alfonz (notably married in 1920 to Erzsébet Herzog, daughter of Baron Mór Lipót Herzog) took over most of the family’s holdings and factory production eventually resumed in the now renamed “Csepel Works” with a shift to consumer products. 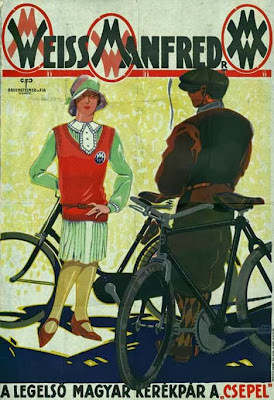 In 1928 the company began production of the “Csepel” bicycle line: the company sold them at a brisk pace from the outset, and saw production skyrocket during the war as armies realized that they could provide an inexpensive and lightweight transport for foot soldiers. 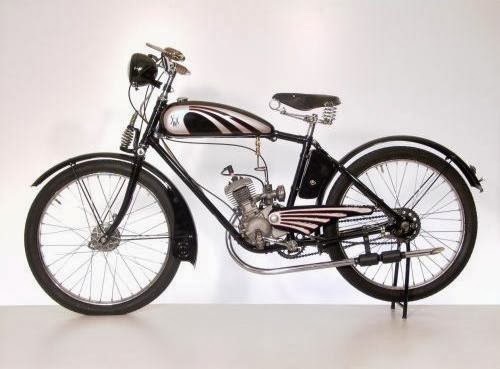 Kistarcsa Engine and Rail Equipment Factory began manufacture of NOVA motorcycles with JAP and Blackburne engines in 1927, and Béla Lőrincz had founded the Hungarian Motorcycle and Component Factory where the country’s first two-stroke engines were mass produced. 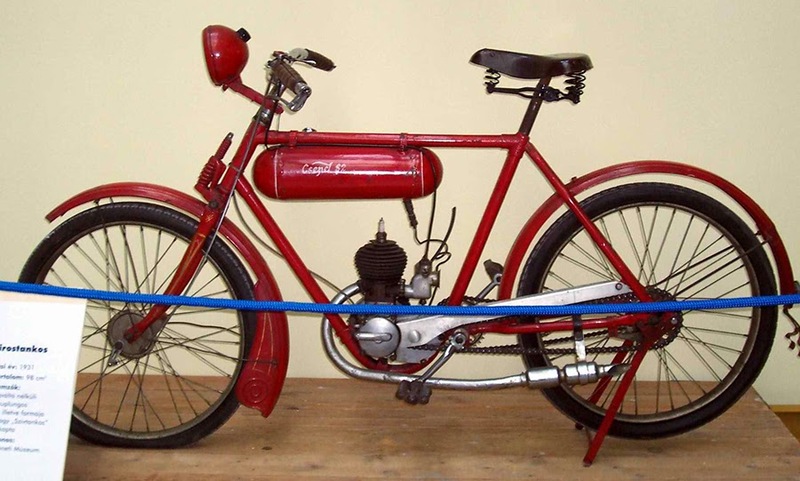 By 1931 Csepel had joined the fray, beginning with an affordable 100ccm two stroke motorcycle which soon became known as the ‘Red’: approximately 1,100 were manufactured. Thanks to its popularity and simplicity (the bike lacked even a basic gearbox), the small motorcycle could be driven without a license. Further development followed, with the 86ccm Turan model in 1935 and another 100ccm machine coming into production in 1937. This model became well-known as the “Nickel Tank” and more than 10,000 WM motorcycles – including 7,500 nickel tanks- were licensed prior to the outbreak of WW2. The government had taken large foreign loans in the early 1920s, allowing the country to achieve monetary stabilization. 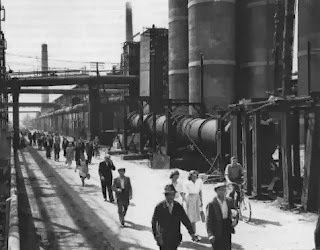 Industrial and farm production rose rapidly, and the country benefited from flourishing foreign trade during most of the 1920s. But with the beginning of the Great Depression in 1929, that prosperity rapidly collapsed in part due to the economic effects of the failure of the Österreichische Creditanstalt bank in Vienna, Austria. Hungary began to rely on an increasing trade with Italy and Germany to pull itself out of the Great Depression. By 1938 Hungarian politics and foreign policy had become increasingly pro-Fascist Italian and pro-National Socialist German; in 1940, under pressure from Germany, Hungary joined the Axis. Although initially hoping to avoid direct involvement in the war, Hungary’s participation soon became inevitable. In March 1944 Adolf Hitler sent German troops into Hungary and SS Commander Adolf Eichmann entered the country along with the occupying forces, establishing headquarters at the Majestic Hotel in Budapest. The Weiss family escaped deportation to the concentration camps with the help of the authorities and settled in Portugal. During the war Csepel Works continued making bicycles, machine tools, electric transformers, steel tubing, bus engines and clothes presses. In addition, it produced engines for Messerschmitt fighter planes and munitions until the Soviets captured the capital on February 13, 1945. As Soviet forces finally advanced on Budapest the German troops reduced Budapest’s Castle Hill to ruins and destroyed over 25% of the buildings and industrial plants along with all the bridges. After World War II ended it took years for Budapest to recover from the devastation. 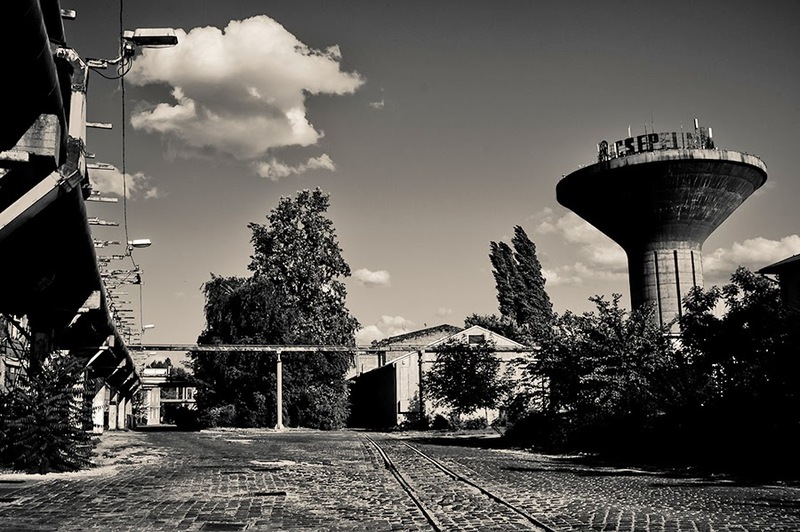 But as the center of a new planned economic system, rapid growth returned in the years after the war: by 1950 seven towns and 16 villages were merged into the rebuilt city of Budapest. 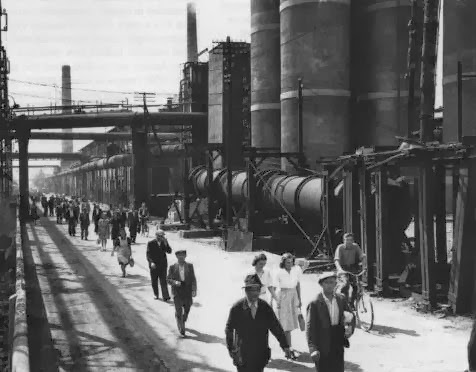 The state now controlled most of the economy and all industrial companies, banks, retail businesses and foreign trade were nationalized without any compensation; but a disproportionate amount of the country’s resources were spent on building whole industrial cities and plants from scratch. 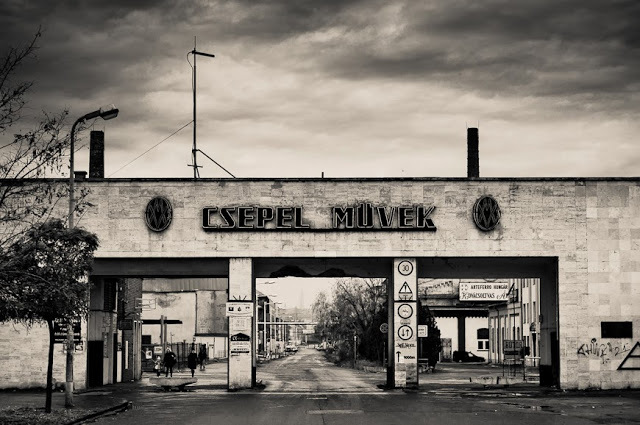 The Csepel factories resumed production of motorcycles in 1947, soon after the destruction of the war was cleared. 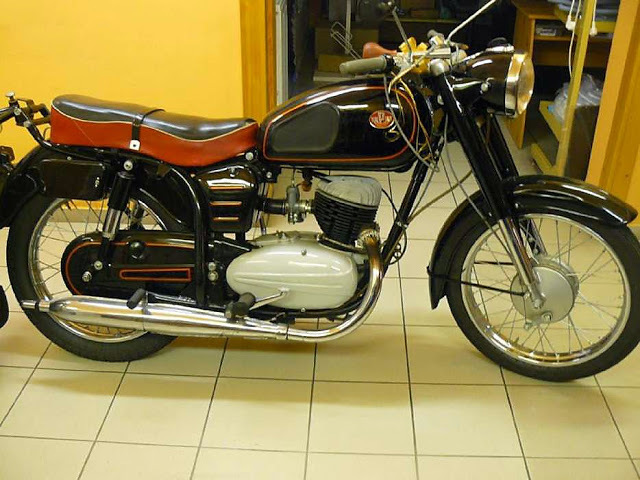 The first model, the VM Csepel 100 Tura featured a modernized engine block: a team led by Aurel Jurek began plans for the new 100 and 125 Csepels during the production of 100 Tura. A new 100 with a three-speed gear box was introduced, and in 1949 the model 125 emerged. That summer also saw the new 250 Csepel twin cylinder single block, modeled after the Puch system and introduced as Csepel 250/U. 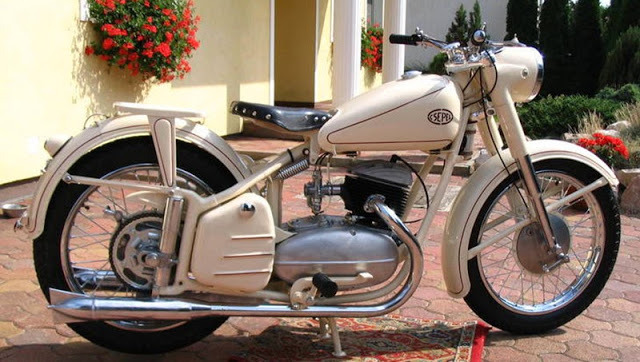 The Csepel 100 was dropped from production, and only the Csepel 125 remained in the VM line: the 125 was equipped with a telescopic fork and suspension strut increasing comfort and between 1951-1955 it was the first Hungarian motorcycle built in serious production, with approximately 50,000 coming off the line. 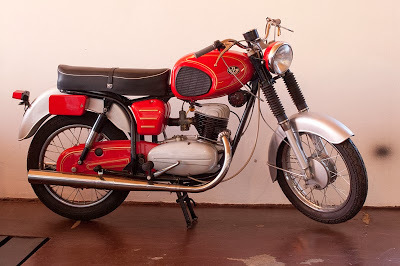 Part of the WM-construction was renamed Matyas Rakosi Iron and Steel Works, and in 1954 the development and production of the quarter-litre Pannonia motorcycles began based on a Csepel 250 single bore machine. After the first 125 models production was transferred to the adjacent “Danuvia” facility. The new factory became the home of the biggest chapter in Hungarian domestic motorcycle manufacture for the next 20 years. In October 1956 a student demonstration in Budapest sparked a spontaneous nationwide revolt against the communist government. Unfortunately, the revolt ended badly. At 3:00 a.m. on November 4, Soviet tanks penetrated Budapest along the Pest side of the Danube from both the north and south, effectively splitting the city in half. Armored units crossed into Buda, and at 4:25 a.m. fired the first shots at the army barracks on Budaõrsi road. Soon after, Soviet artillery and tank fire was combined with air strikes, artillery, and the coordinated tank-infantry action of 17 divisions. By 8:00 am organized defense of the city evaporated after the radio station was seized. Hungarian civilians bore the brunt of the fighting, and it was often impossible for Soviet troops to differentiate military from civilian targets. 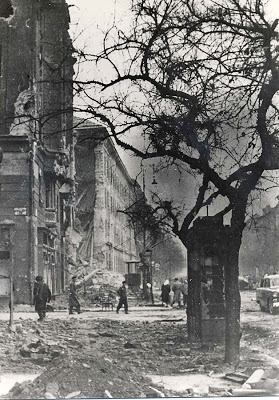 Soviet tanks fired indiscriminately into buildings, and as the Hungarian resistance was strongest in the industrial areas of Budapest, the factories were heavily targeted by Soviet artillery and air strikes. The last pocket of resistance called for ceasefire on 10 November; over 2,500 Hungarians and 722 Soviet troops had been killed and thousands more were wounded. Following international outrage at the bloody show of force and the ruthless purges that followed, the Soviets soon molded Budapest into a role model for market socialism and attempted to make it a showplace among Eastern European cities. As a global “public relations” example Budapest was also allowed to engage in limited free enterprise and the industrial center began to attract controlled but substantial investment capital from Western nations. The mid 1950s saw some of the most important changes in motorcycle production at Csepel. Among other things the Boxer 500, Roller and Motocross Twin 500 prototypes were built, but more importantly the 250 was revamped with a new frame design. The Pannonia TL with its characteristic cherry red color, comfortable damping and two-seater bench soon became popular among motorcycle fans. 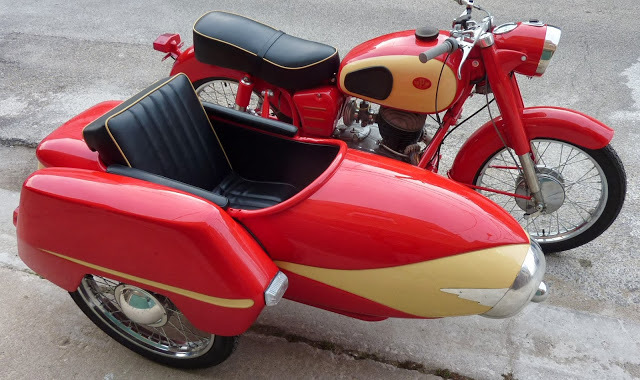 At the same time the Hungarian Boat and Crane Company in Vác (Magyar Hajó és Darugyár) was producing the beautifully designed Duna sidecars and the combination proved an immediate hit. By 1958 the motorcycle line was merged with a general production plan; the domestic market had never fully recovered since the revolution, and the planned introduction of several new models were delayed or cancelled. 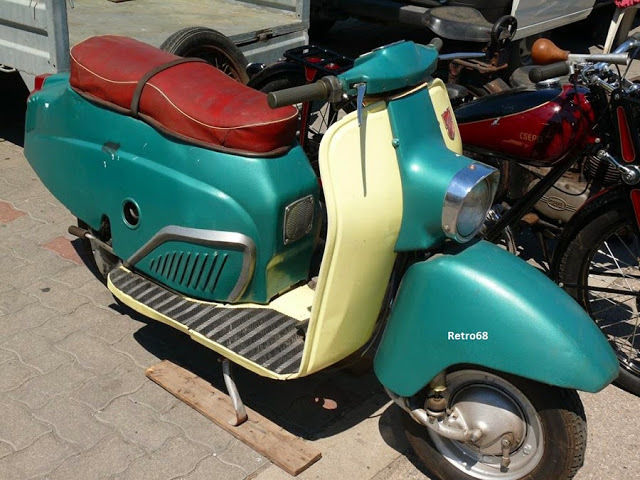 Still, the big scooter Tünde with its 175cm engine managed to come out along with the TLF version which was further developed into the TLT between 1958-1961. 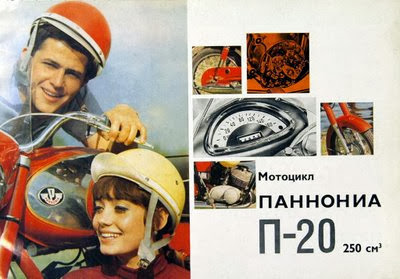 The plant manufactured a covered edition of Pannonia with the name TLB from 1960-1962, but it was considered “a waste of money to build in so much metal into a motorcycle” by the government. In 1960 Pannonia began exports to the Soviet Union, a relationship that immediately boosted production to some 40,000 machines per year. However, in the long term it proved a disadvantage for the plant as the Soviets weren’t interested in the improvement and the modernization of the brand. The technical advancements of Pannonia, never remarkable in the Western markets, soon lagged even further behind the requirements of the time. 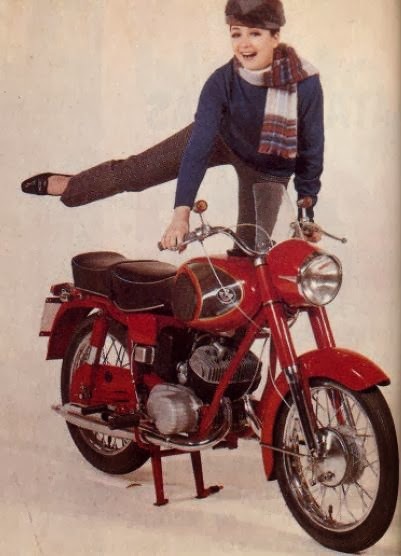 When the Japanese brands first appeared on the European market in the early 1960s Csepel gave up on the production of bridge frames and more or less completely copied the Yamaha 250-YDS. 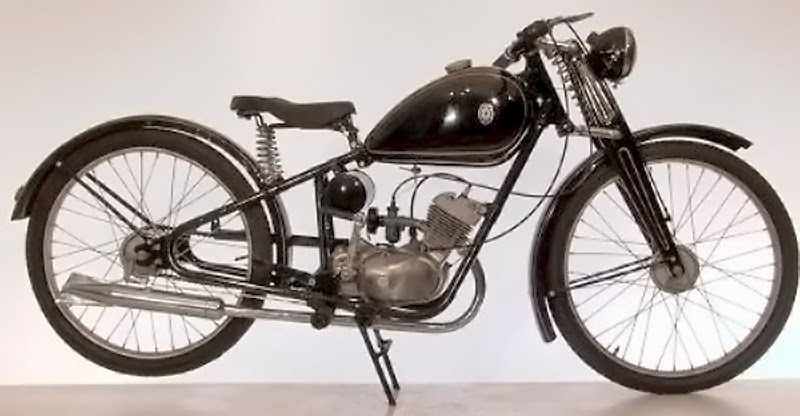 The new two-cylinder prototype was designed by Jenő Jurek, and it was expected that the introduction of the model P20 could be the big breakthrough for Csepel motorcycle works; but the promised investment financing fell through and production was stalled for 3 years. The company began to suffer serious difficulties in retaining technical executives and employees. Even though the P20 was one of the best Eastern European models, the lack of quality killed it in the Western markets and it couldn’t compete with Japanese imports. Between 1960-1965 the company shifted focus to an export model and after increasing compression, designing a new cylinder head and significant noise reduction the TLF successor models T1-T9 were released to markets in Great Britain, France, USA (marketed under the brand “White”), Sweden and Indonesia. By the end of the 1960’s it had become painfully obvious to the chief executives that the motorcycle plant could not produce competitive models into the 1970s without considerable investments. 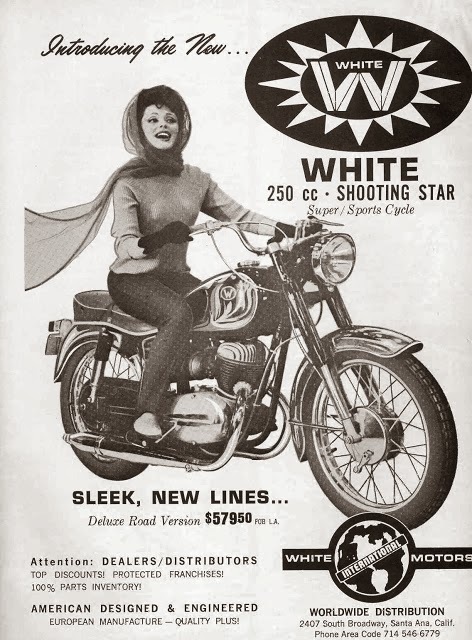 The Soviet Union had revised their purchase contracts and that, combined with the still sluggish domestic market, meant that motorcycle production was becoming increasingly unfavorable for Csepel. The Csepel Works along with the Ministry of Metallurgy and Engineering faced some crucial decisions. Changes in production seemed to be the only possible solution: at the beginning of the 1970s a series of prototypes were designed with the hopes that the engineers could implement possible alternatives and improvement. The new models were all interesting and innovative products, but only the T5, P10 and P20 survived with the latter intended to be an export version for France and Germany. A slightly modified concept, the P21, was made and a modernized P12 appeared in 1974. But on 24th October 1975 the last Pannonia motorcycle rolled off the assembly line. Csepel had continued bicycle production through the years, but with the Iran-Iraq war at full tilt for most of the 1980s exports of Csepel bikes to Iran, one of their biggest markets, died off. 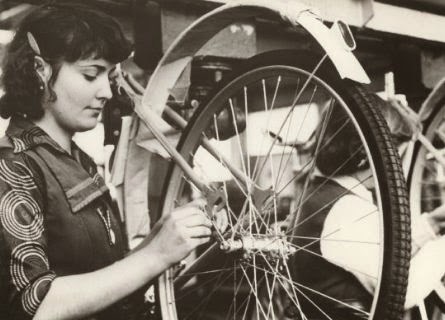 Competition from the lightweight Asian bicycles dealt a further blow, but with the fall of the Iron Curtain came privatization; in 1989 Schwinn purchased a 51% interest in the Csepel Iron and Metal Works. 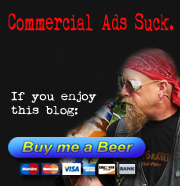 Bankruptcy came in 1993 when Schwinn dissolved. Other investors tried to make a go of the large plant and its resources but it was shuttered for good in 2003. Today the remains of the Csepel Works retain an industrial pipe factory, bicycle factory (importing frames from Asia but assembling them on site) a foundry and a transformer manufacturing facility. Large spaces are being rented out as storage facilities to small companies, bands and artist collectives, and renovations are continuing. 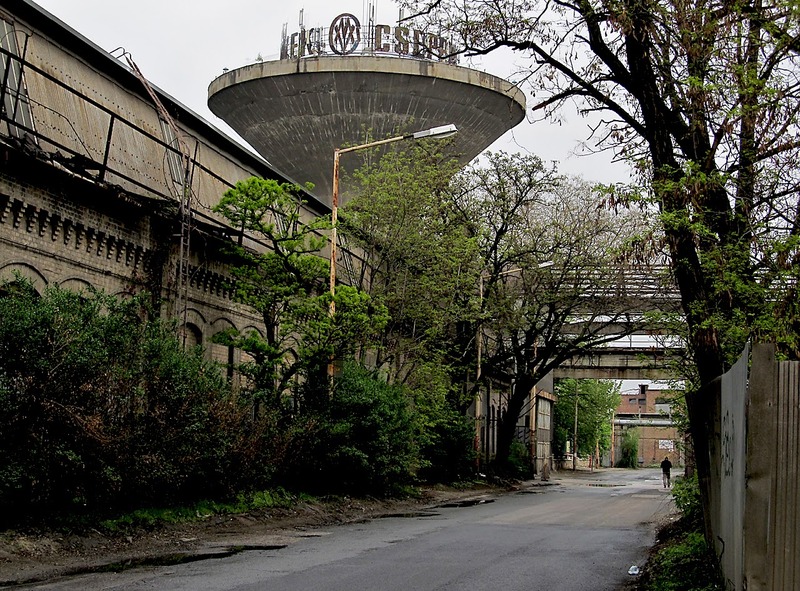 In June 2013 the Hungarian Artopolis Association hosted PLACCC Csepel, featuring tours of the factory combined with art exhibitions and theatrical productions, but the factory remains still sit largely vacant. Extremely interesting, What history a fantastic insight.